Iyakawa River Waterhead is located at the foot of Horinzan Mountain. Along this river grows a kind of fresh water moss called "Kawabeni Madara," which is designated as a City's Cultural Property. 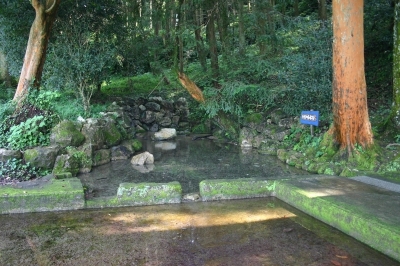 The name of the river "Iyakawa" comes from the tradition that in the old times local people washed the clothes for purification in this river when they were pregnant. It is still said that people will have easy deliveries if they drink water from here before childbirths. 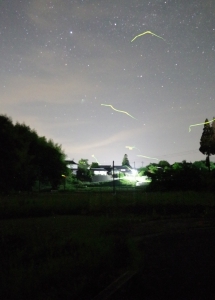 From late May to early June, you can see beautiful fireflies flying around the river. 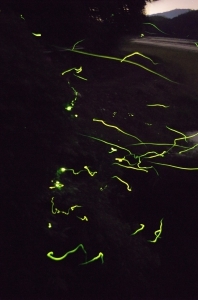 Clear water and fantastic view of lightning bugs are worth visiting.